To serve as an Orthodox priest can only obtain higher religious education. It is given in theological seminaries and academies strictly on the recommendation of local clerics. After a long persecution of religion during the Soviet era the Orthodox Church in Russia is experiencing a Renaissance. Restored temples and monasteries, with every day an increasing number of parishioners. To the right of the churching believers need an experienced, friendly priests. In order to become a priest in Russia, need to finish Seminary. The training lasts 4-5 years, the terms depend on the educational institution. After graduating from the Seminary, the newly formed clergy placed at the disposal of the Church Patriarchates of the Russian Orthodox Church and distributed to the parishes. Higher education in the Church is divided into two stages: undergraduate and graduate. In order to complete the first step, you need to learn for 4 years. The second stage of spiritual education lasts 2 years. Master's degree equivalent to academic education is possible only upon completion of a bachelor degree, that is the Seminary. Theological seminaries in Russia a lot, you can choose from a large number of educational institutions which the applicant is closer in location and spirit. Seminary in Moscow, Saint-Petersburg, Central Russia and the Urals and the far East. Program of study in Russian seminaries provide qualitative and free for Russians spiritual education. There are in seminaries and correspondence courses. Learning that way for 5 years, there are annual donations for education in the amount of 4 thousand rubles and accommodation costs for the duration of the sessions. 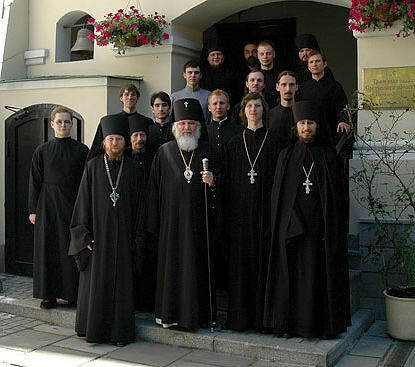 The Seminary accepts only men aged 18 to 35 years old, be sure of the Orthodox faith. Applicants must finish secondary school, have a certificate and be churched. When you receive the right advice of the priests from the local parishes, bishops and certified the list of documents required of applicants of all Universities of Russia. A certificate of health, passport, copy of medical insurance and military ID. A complete list of documents needs to be clarified in the school. Seminary entrance examinations surrender according to the Law of God, and also enter write an essay on ecclesiastical and historical subjects. To become a priest in Russia only if you have to that spiritual life in the Russian Orthodox Church and the great desire to serve people, bringing them the Word of God. For admission to a theological Seminary need to comply with the internal requirements of the Russian Orthodox Church to the students. According to them, in the Seminary accepted the persons of the Orthodox confession of a male under the age of thirty five years, with secondary or higher education, single or married. • copy of the certificate on chirotesia as a reader (readers), a copy of the certificate of ordination to the priesthood (deacon) and a copy of the last decree of the ruling Bishop on appointment to a parish (clerics). • An essay or statement on the Church-historical themes. • A symbol of faith. Prayer of St. Ephraim the Syrian. Prayer before Holy Communion "Lord, I Believe and I confess...". The ten commandments. The Commandments Of The Beatitudes. Hymns of the great feasts. The troparion of the Holy. Psalm 50-th and 90-th. Recognized centres of Church education in the Russian Orthodox Church are the Moscow Theological Academy and the Moscow Theological Seminary. Graduates of these educational institutions have made an enormous contribution to the development of spirituality of Russia. The main condition for Christians who wished to study at the Academy, will be passing the course at the Seminary. First of all, you should know that in the theological Seminary attended, and only those Orthodox Christians who have received spiritual life experience and intends to devote himself to the service of the Church. Therefore, a mandatory prerequisite for admission in theological Seminary will be a blessing of the Confessor approved by the ruling Bishop. The age of the persons accepted for training at the Seminary – from 18 to 35 years. The candidate must have completed secondary education. Admission to a religious educational establishment is accompanied by and entrance exams. In addition, candidates will be interviewed by members of the selection Committee. The purpose of exams and interviews – identifying the degree of familiarity coming from the life of the Church and of belonging to it. In particular, the candidate should know the most famous prayer to be familiar with the biblical story. Welcomed the ability to read Church Slavonic. Special attention is given to determining the educational level of the candidate, interests and Hobbies, knowledge of history of the country, its cultural and spiritual heritage. During the conversation, which usually is not the type of exam, the admissions Committee also find out how well applicants understand the processes occurring in modern society. 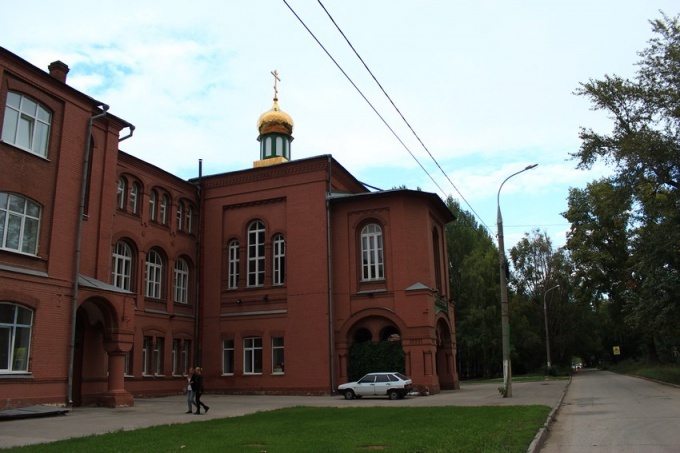 In the Moscow Theological Seminary may come from any region of Russia and CIS countries. There are incoming and those of the republics of the former Soviet Union, where Christianity is the predominant religion. The first place among Russian regions by the number of students is Moscow oblast and Moscow. However, the capital has always distinguished not so much the number of applicants to the Seminary, but also their relatively high educational level. The learning process in the spiritual school has much in common with secular learning. And secular and religious schools base the training on the training programs that have a five point grading system, examination of the event, a system of rewards and penalties.